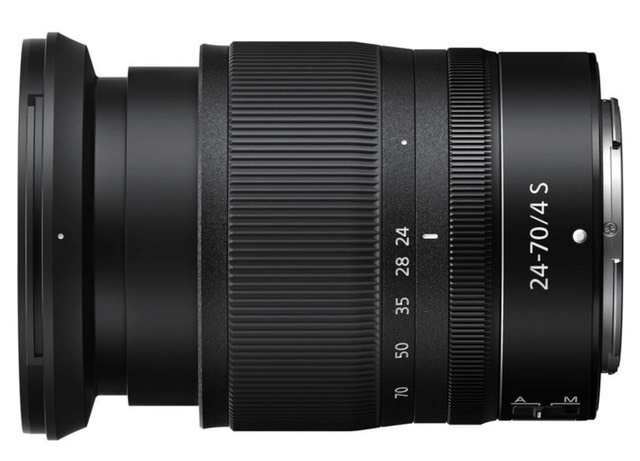 The 24-70mm f/4 S is the kit zoom lens for the initial Z series bodies. 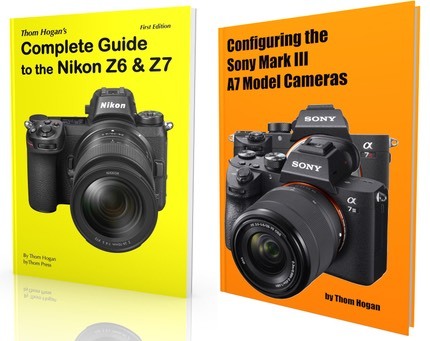 Much like Sony did with the original A7 and their 24-70mm f/4, Nikon has targeted a small, travel-friendly kit lens as the one of the initial zooms in their new system. The Z6/Z7 body and the 24-70mm f/4 make for a very compact full frame solution. A fraction bigger than the Sony alternative, but as you'll discover later in this review, much more than a fraction better. At 17.7 ounces (500g) and 3.5" (88.5mm) in length, the 24-70mm f4 S is one of the smaller 24-70mm mid-range zooms you can find. It's close to the size and weight of the 24-85mm f/3.5-4.5G lens, which is the smallest F-mount Nikon option to date (note that the F-mount 24-85mm on the FTZ adapter would be bigger and heavier than the 24-70mm S). Yet there's that "S" in the lens designation. Nikon's been saying that stands for "superior," or a high end lens specification (as opposed to a lesser consumer specification like the 24-85mm has). We'll get to whether the lens performs up to that "S" marketing claim in the performance section towards the end of this review [foreshadowing: it does], but it's interesting that Nikon is making a mirrorless full frame zoom they claim as high quality that's nearly as small as the most consumer option the company made for DSLRs. People have argued over the lens mount specifications and what they mean, but I think you get a fairly clear example of that in this lens: the wide opening and short flange distance has allowed the Nikon lens designers to work some magic in a small space. Overall the lens is 14 elements in 11 groups. The element positioning, shape, and size looks a bit different in this S lens than we typically see, though. There are four aspherical elements, one of which is made of ED glass, plus an additional ED element. Compared to that 24-85mm, the S lens seems to have slightly bigger inner elements (the ones that move for focus) and a larger and simpler rear element design (which is also very close to the image sensor). Nano coating is on at least one element (along with the usual Super Integrated Coatings), and the front element is fluorine coated to reject water and dust. The lens has a 72mm filter thread. Nikon claims "extensively sealed against dust and moisture," and this seems to be accurate. The supplied HB-85 lens hood is a bayonet type, with distinct petaling of the sides to accommodate the wide 24mm position. Inside we have 7 rounded aperture blades. The lens stops down to f/22. There's no distance scale (and obviously no DOF markings). Curiously, the lens has a very close focus point of 12" (0.3m), which produces a maximum reproduction ratio of 1:3.3, which is nearing macro range. As with all Z lenses, Nikon has brought forward both the E-type design (electronically controlled aperture) and AF-P focus design (stepper motor that's fast and able to move in small increments accurately). All focus is done internally, but when you zoom the lens extends significantly forward (over an inch; at full extension the lens is about 5.5" from mount to filter ring). I should point out that this is one of those "rotate lens to use" designs. For travel and storage the lens contracts to its base 3.5" length. Rotating the zoom ring to 24mm extends the lens into shooting position and moves the front forward almost an inch. The 24-70mm f/4 S has one switch (A/M) and two rings. The zoom ring is the frontmost ring and marked at 24, 28, 35, 50, and 70mm and rotates about a quarter turn from wide to tele (again, there's a "retracted point, which requires moving the lens another 1/8 of a turn from 24mm). The focus ring is narrow, unmarked, and closest to the camera. As with almost all mirrorless camera lenses, the focus ring is "fly-by-wire" and isn't mechanically linked to lens element movement. The focus ring can be repurposed on Nikon Z bodies to other functions (aperture, exposure compensation, etc.). The 24-70mm f/4 S is made in Thailand and retails for US$1000. There's not a lot to say, as externally this is a simple lens. I don't particularly like the "rotate to use" aspect of the lens, though I appreciate the bit of extra space it saves when traveling. Still, there's the potential for missing a shot if you don't immediately put the lens at the 24mm position after you take it out of your bag. Both rings are smooth on my sample, and the build quality feels solid, a bit above that of the f/1.8G primes Nikon has made for the F-mount. The lens balances very nicely on the smallish Z bodies. I note that some have complained about the supplied hood not fitting on their lenses solidly when reversed, but my sample does not exhibit this problem at all. It does take a strong twist to get it into the locked position, though. Nikon tries to market the lens as suitable for video. I'm not sure I agree with that, unless you're using the lens solely in autofocus mode. You're certainly not going to manually focus by wire in your video given the lack of good hysteresis in the fly-by-wire mechanism. Nikon seems to think that videographers will use the focus ring for aperture control in video, but it's difficult to be precise, in my experience. One thing before we get started on other performance aspects: this lens is not silent. It may seem silent to you in shooting, but try this: turn your Z camera on, put your ear right up against the lens and turn the focus ring. You'll hear a faint alien-sounding whoop-de-whoop as you rotate that ring. This will be picked up by the cameras microphones in video recording. Nikon is very careful to claim the lens is "quiet", not silent. Focus: Fast and precise. I know of no better way to describe this. More words and I'll just confuse you. So let me just phrase it a different way: within the constrains of the Z6/Z7 autofocus system, the lens is not slowing anything down or making it less precise. Sharpness: Wide open I judge the lens to be excellent in the center, very good out past the DX crop area, then falling off to just good in the very extreme corners of FX. 24mm is probably the worst focal length wide open in the corners with lens corrections turned on, 35mm probably the best. 70mm is somewhere in between. Compared to the excellent Nikkor 24-70mm f/2.8E DSLR lens at f/4, the DSLR lens is sharper out in the extreme corners, and perhaps marginally better at some focal lengths in the more central area. But that I’m comparing this US$1000 kit lens to a US$2400 pro lens I recommend should tell you something right off. Don't let my description fool you: this is a high-performing lens. Note that a lot of testers seem to be testing this lens only with the lens corrections in place—which I’m also doing for my primary results because that’s the way most people will shoot with it, JPEG or NEF—which tends to exaggerate any sharpness problems in the corners a bit. Nikon’s MTF charts suggest that the 24-70mm should be better than good in the corners, and 70mm probably should produce the worst corner performance. I see just that, but only when I test without lens corrections. Stopping down, I see the same basic results (center best, out past DX frame slightly worse, corners slightly worse yet), though obviously a stop or two smaller aperture helps boost the overall results upward in all respects. Even at f/5.6 this lens is producing far-better-than-usable edge-to-edge performance at all focal lengths. Compared to the Sony 24-70mm f/4 FE, the Nikkor looks like you went to the optometrist, had your eyes examined, and got perfectly corrected glasses. It's a night and day difference, frankly. Best focal length appears to be 35mm, and best aperture is either f/5.6 or f/8 (the Z7 will have diffraction by f/8). Unusually, I didn’t get a sense that this lens performs better at any particular focus distance. Most of the time, I’ll see lenses that perform better close to their closest focus distance or perform better closer to infinity; one or the other, not both. But the 24-70mm f/4 S seems to be immune to that. At its maximum magnification it was performing much like it did at “regular” shooting distances and even infinity. By comparison, the excellent Nikkor 24-70mm f/2.8E F-mount lens is somewhat soft at minimum focus distance (i.e. it seems designed for mid-to-long distance use). Overall, I judge the sharpness to be quite good for a kit lens and its price. This small, light lens is performing in a category well above expectation. It’s just not perfect. There’s little astigmatism and coma in the corners, though, which means that corners do tend to sharpen up well, particularly with deconvolution sharpeners. Focus shift: Some clear-but-small focus shift, to the point where for pinpoint accurate work, this probably isn't the lens for you. At 24mm it seems pretty stable with results beyond f/5.6, but at 70mm there's clear variability from f/4 all the way out through f/16, making it a little unpredictable about where the focus plane really is (hint: focus a bit towards infinity: at f/11 the shift is about the same as a +5 AF Fine Tune). Given that the Z cameras to date will only be using f/4 or f/5.6 for focus, you could see focus shift in some results if you’re not careful. Chromatic aberration: I’m tempted to say there isn’t any, Neither longitudinal, which is very nicely corrected, nor latitudinal, which is also nicely corrected. What’s left is easily correctable. If you turn off the lens corrections you’ll see very significant vignetting (over two stops in the extreme corners wide open at some focal lengths) as well as linear distortion (see next). Indeed, you get an interesting sense of the image circle with the controls turned off, most visible at 70mm, where there's a clear circle edge (e.g. most of the frame is well lit with only a little falloff, but the extreme corners fall off very rapidly, and just in the corner). I’d tend to say that the central two-thirds of the frame is relatively free from vignetting to the point you could probably ignore it, but as you get closer and closer to the left/right borders and corners you’re going to want to correct it at all focal lengths. This is another way of saying that vignetting is not a slow degradation into the corners, but accelerates rapidly as you get out past the DX crop boundary. Despite the severity of what I write here about vignetting, I see similar issues with the 24-120mm f/4 lens, for example. It's clear that Nikon emphasized small lens size over using all of what the Z mount is capable of here. Linear Distortion: the camera corrects for this, and the camera includes the corrections in the NEF file, which Adobe's converters pick up by default and don’t allow you to cancel. Thus, most people and reviews are claiming that there’s no linear distortion. Wrong. At 24mm, the inherent distortion is clearly a barrel mustache type (e.g. not a regular curve). There's high barreling in the middle with tapering barreling to the corners. At somewhere around 28mm the lens produces close to perfect linearity, then it descends into pincushion distortion (minimal at 35mm, clear at 70mm). The pincushion distortion looks more “regular” to me than the barrel distortion at the wide end (again, the wide end has mustache traits). Nikon's corrections are good. They leave a little remaining distortion at the extreme focal lengths, but an ignorable amount. Flare: Well controlled overall. There’s less veiling flare than in other 24-70mm’s I’ve used, and very well behaved in-frame artifacts when they do get produced. Bokeh: Significant but mostly mild onion skinning (due to the aspherical elements, for sure) with a bit of a neutral but bright rim. Not the creamy bokeh some seek, but actually pretty benign bokeh impacts overall. That benign bokeh continues further into the corners than usual due to the low coma and baffle impacts. For an f/4 lens, I’d judge the bokeh rendering to be better than you’d expect: not creamy, but not distracting. Let’s just say it up front: this is an excellent kit lens. Even as little as five years ago we tended to get meh lenses in the camera kits. More recently, the trend has been quite different. The Olympus 12-100mm f/4, the Sony 24-105mm f/4, and a host of others have upped the game in the kit realm. Nikon, too, is now playing at that higher level. 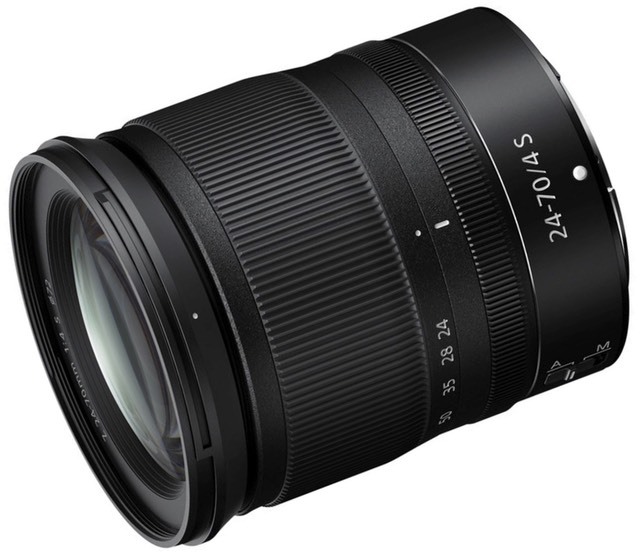 The implied price of the 24-70mm f/4 S when bundled with a Z6 or Z7 camera is a very modest US$600. At that price, this lens is a clear bargain. You generally don’t find zoom lenses this good at that price. So if you’re buying into the Z system, you very well need to consider buying the camera plus this lens. I've seen sample images from a few other folk that don't match what my lens does, others that do. It's quite possible that there's sample variation in the initial production. I'm amused that some are reviewing this lens and calling it "expensive." I suppose if you were putting this lens on a US$500 camera body that the US$1000 for the lens would seem expensive. But you're putting this lens on high-end, expensive, sophisticated camera bodies that you'd probably expect excellent image quality from. This lens is relatively inexpensive in that sense. On a Z7 you get optical performance out to near the corners that's actually quite excellent, and delivering everything that the sensor is capable of. Ignore those reviews that call this lens expensive. Yes, there are a few things about the 24-70mm f/4 S I wish were different. I’m not a fan of the rotate-before-using-lens thing Nikon does to make lenses travel smaller. I wish that I didn’t have to use the lens corrections—you pretty much have to at 24mm to deal with the linearity and vignetting, unfortunately. But in terms of the basics, this is a quite sharp lens with few worrisome attributes. Moreover, it’s the right size and weight for the Z6/Z7 bodies and makes a svelte travel companion.